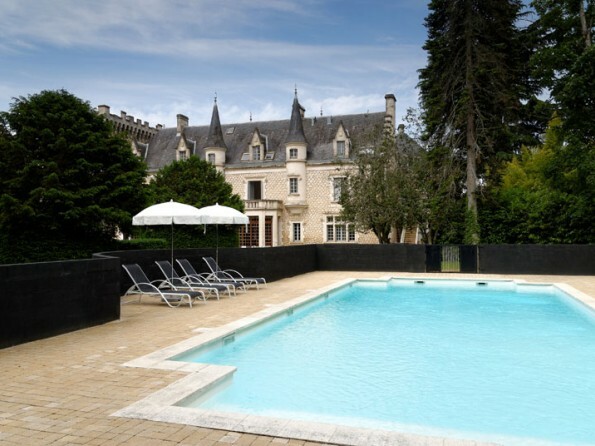 With huge bedrooms and bathrooms, four salons, a private cinema, a billiard room, a 14.5m heated pool in 5 acres of private grounds and a professional kitchen with huge dining hall, Chateau de la Couronne is the ultimate family holiday destination. Fashionable and refined without being pretentious or stuffy, it has won plaudits for its warm welcome, its child-friendliness, its flexibility, attention to detail and quality of service. 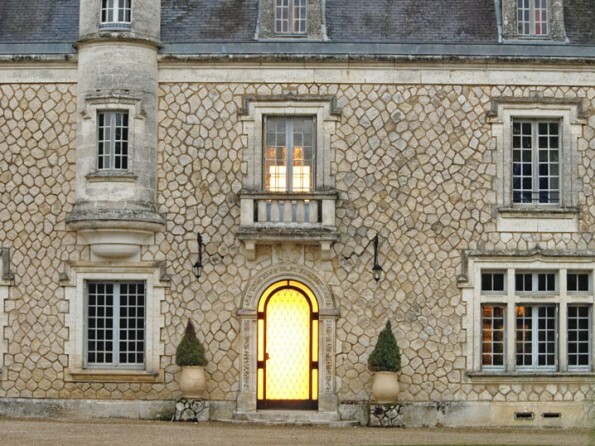 Experience a bit of film star lifestyle at this unique Chateau. 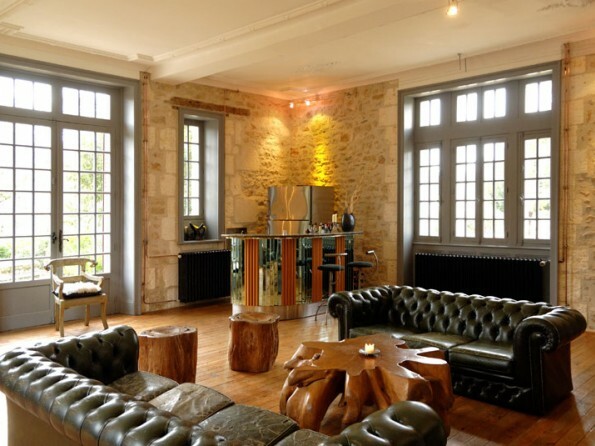 A great venue for a family or group holiday, Chateau de la Couronne offers an amazing welcome - child friendly, unstuffy and fun, yet it has interiors gorgeous enough to have been featured in design magazines around the world. 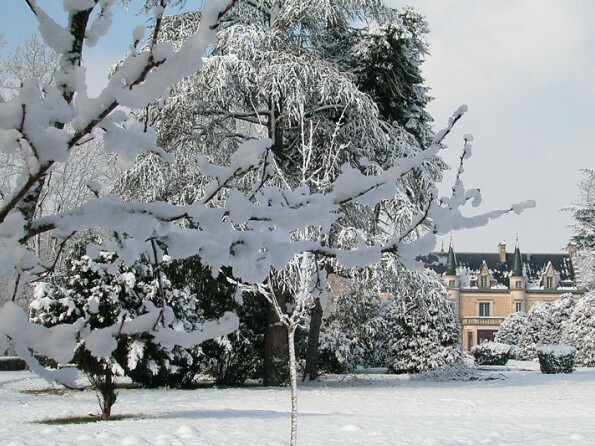 A blend of urban chic and ornate French charm, the Chateau offers five salons, two terraces, five acres of private grounds with a heated pool, as well as a cinema, a billiard room, a huge dining hall and a kitchen any chef would be happy to spend time in. 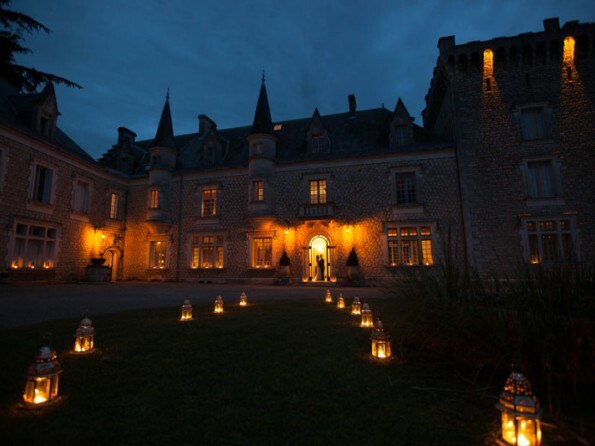 Self-cater or have the chateau arrange catering, it's completely flexible, and entirely up to you. 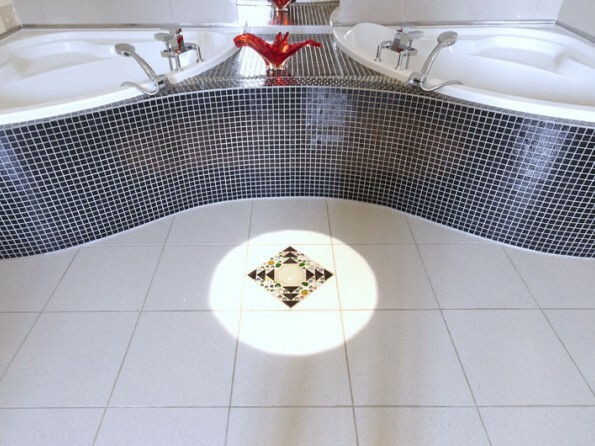 There is accommodation for up to 26 guests in large and individually designed bedrooms, with ludicrously decadent bathrooms and luxurious touches like Egyptian cotton bed linen, big fluffy towels and Chateau Bathrobes. And if lazing round the pool becomes all too much, there are tons of activities in the local area to keep little minds and bodies active, from miles of safe cycling to adventure parks, karting, boating and kayaking. An unforgettable holiday! 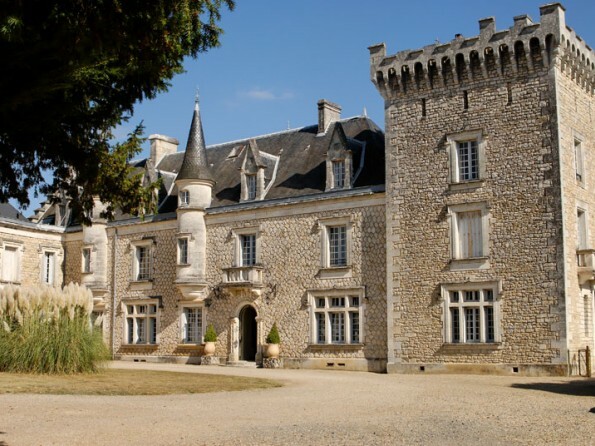 Chateau de la Couronne sits on the edge of the village of Marthon, right on the border where the Dordogne meets the Charente in south-west France. Just 20 minutes from the buzzy little city of Angouleme, Marthon is two hours drive from Bordeaux, and only 2hrs 15mins by TGV from Paris. Hired on an exclusive use basis. 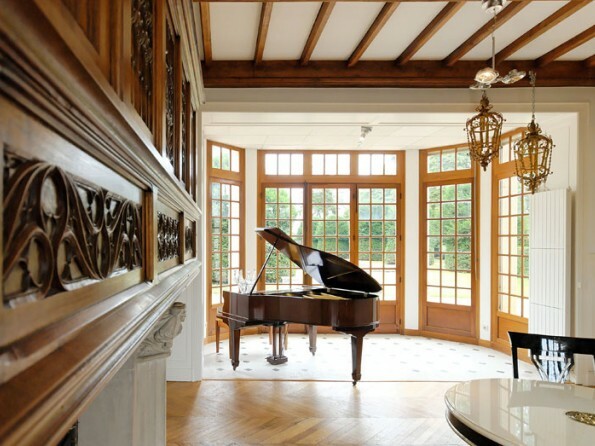 Five salons all for guest use, with bar, baby grand piano, library and office with wi-fi. French doors onto the terrace with tables, chairs and parasols. 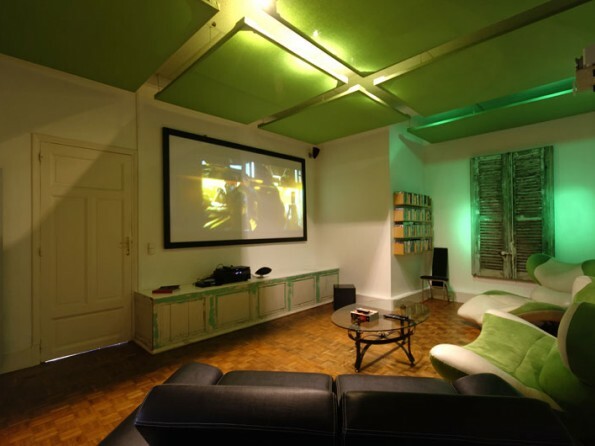 Private cinema with 9 foot screen, hi-def projector and surround sound. 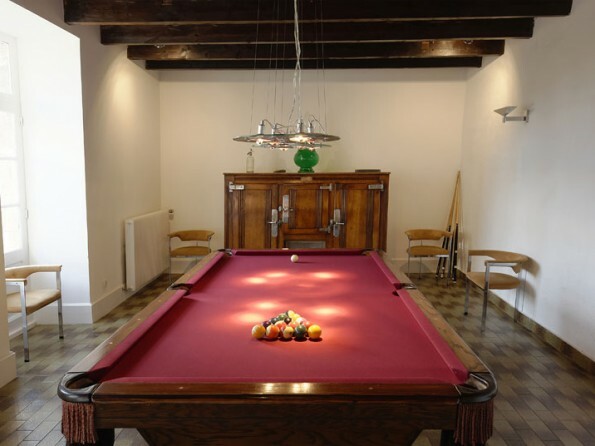 Billiard Room with slate-bed US pool table. Huge, exposed stone Dining Hall. Luxurious Professional Kitchen with two ovens, range, fridges, dishwasher, three work stations. 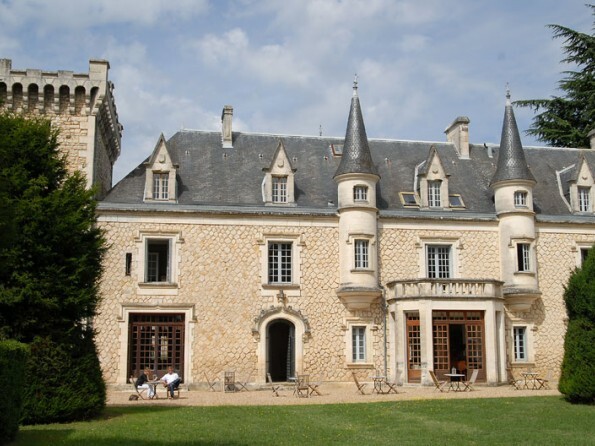 Nine bedrooms and eight bathrooms, all within the main Chateau building. All rooms have flat screen TV and DVD, while some have air con, some wine chillers. Some rooms have two bath tubs and all bathrooms are huge and decadent. Laundry room with several washers and dryers for guest use. 14.5 metre heated Swimming Pool. Sun Loungers around Pool. Two terraces with tables, chairs and parasols. 5 acres private grounds. Private Football Pitch. Ample parking. Marthon has a tabac, bakery, butcher, pharmacy, pizzeria, cinema and a doctor - a living, working village that has retained its community feel. 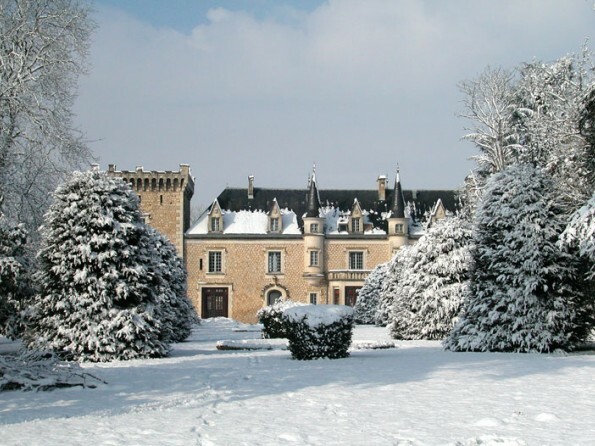 With numerous restaurants within a short drive of the chateau, and countless acres of unspoiled French countryside, a holiday in a castle is a treat for the senses and this is a place to unwind in luxury. A deposit for your castle holiday is required on booking. 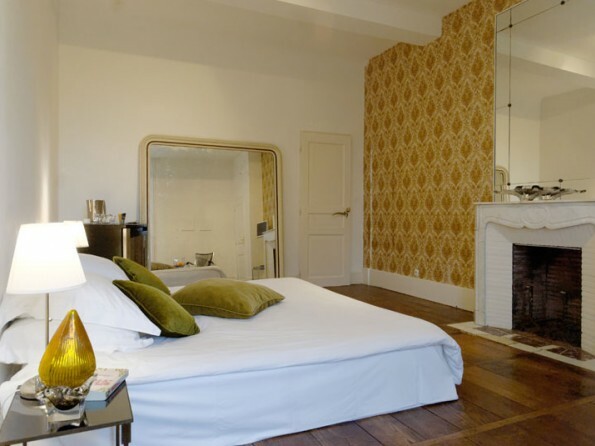 Rates are €2200 per night (minimum stay 2 nights) or €13500 per week.